The King of Pop Michael Jackson is no stranger to video games. Besides appearances in SEGA games like Space Channel 5 and Space Channel 5: Part 2, Jackson also had his own game Michael Jackson's Moonwalker. That's not all. Today, Ubisoft showed a new performance-based Jackson game. According to the publisher, the game puts players in the shoes of the popstar and enables them to relive his most iconic performances through dancing and singing. The game features iconic songs like Beat It and Billie Jean. "Michael always pushed every limit when it came to technology to give his fans unforgettable entertainment experiences, whether it involved his videos, his recordings or his concerts. Now, with this interactive product, we have the chance to bring Michael, the artist, into households around the world in a perfect match of Michael's artistry and the family entertainment which he always highly valued," said John Branca, co-executor for The Estate of Michael Jackson. "This game is a natural extension of what he would be doing today to raise his artistry to even greater heights for his fans of all generations," Branca added. "It is a game that the entire family can experience and enjoy together and this is something that would please Michael tremendously." Previously, there have been reports of a new Jackson game, which will coincide with a "new" album and re-released works. 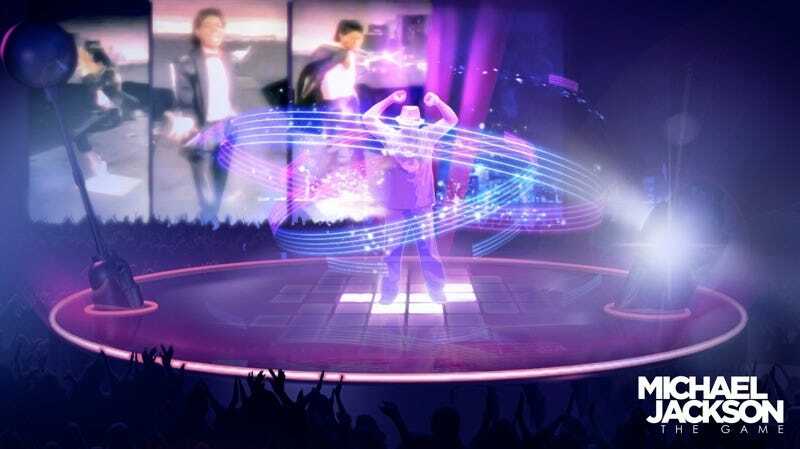 Michael Jackson: The Game will be released this holiday season on the Xbox 360 for the Kinect and the PS3 for the Move. There will also be Wii, PSP and DS versions.